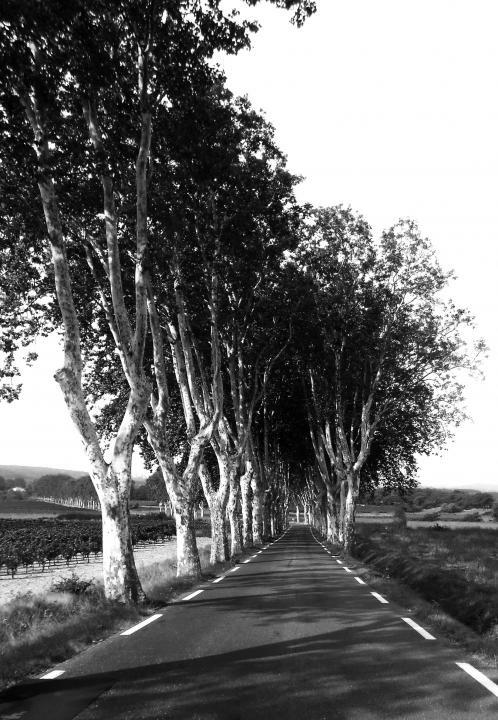 Driving through France wg=hen we came upon this plane tree lined road. The view reminded me of one of Cartier Breton's images. So I made my version.